Stress in the workplace can impact on the effectiveness of both individuals and the business. This interview with Jenine shows how the stress of working in sales and marketing impacts on her. It also shows how she copes with stress and what advice she would give to people about dealing with stress. As a young professional woman working in sales and marketing, Jenine shares her experiences and offers support to other women in her situation. Jenine's positive outlook highlights how she uses a manageable level of stress positively to help motivate her to provide a better service for her clients. Keep visiting this site for more interviews and practical support on handling stress. Jenine is 27 years old and is a Strategic Planner in a marketing advertising agency. She has worked in her current agency for two years and for a previous agency for two years. She works on the agency’s campaigns. Her job is the first step in the campaign process. This involves identifying the target audience, and understanding them and what they need from the brand. She works out the best way to communicate the brand’s benefits to the audience. She then identifies any barriers the agency needs to overcome to get to the audience, and decides which media channels to use. All of this information is collated and given to the creative team who come up with the ideas and concepts. Jenine then gets involved in presenting business strategies to clients and getting them to buy into the idea. She liaises with clients quite often in the terms of taking briefs and feedback. 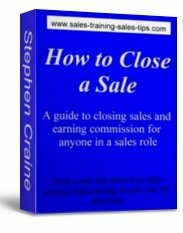 So as well as working on the strategy side Jenine also does a lot of sales related work. She does a lot of sales pitching and presenting. This is to new business and there is a lot of competition. Sometimes she gives a live brief and sometimes its hypothetical in the hope that the clients will decide to go with her agency. I asked Jenine if this is always what she wanted to do. Jenine became interested in Marketing at the age of 15 when doing a business module in a GNVQ, however she was advised that marketing was a competitive market. Jenine’s interest increased further when completing her masters degree leading to her career choice now. I love my job it’s hard work, long hours, and high pressured, but it’s very rewarding and dynamic. There can be a lot of stress in the workplace. The best thing is, it’s a hybrid of creative and business roles so you get the best of both worlds. I love the agency that I work for and I think that makes a lot of difference. Tell me about how your job impacts on your life. I think that most of my friends acknowledge that my job has inconsistent working hours so they make a lot of allowances for me. My hours are meant to be 9 while 5:30, however it’s very unusual that I actually leave at 5:30. I also used to live practically around the corner from the city centre. Now I’ve moved an hour’s drive away, so that takes up times as well which makes it even more difficult. Work life balance can be hard to juggle. For example three nights last week I was working until 8pm. I very rarely take my full lunch break and I normally eat it at my desk. I have a lot of client meetings so there’s a lot of driving as well. It’s very hard not to take work home. My partner also works in advertising but in a very different role to me. He understands the hours and the stress in the workplace. He is really good at leaving his work at work. He leaves at whatever time he finishes and turns straight into home mode whereas I find that very difficult. I think that’s the nature of my job and also my personality because I over think things. I do worry about my work and often think about what I have to do. I try to prioritise and organise the work tasks in my head. I like my boss who I am very good friends with but we text each other about work outside of work hours. Because I’ve been busy over the last couple of weeks I’ve worked weekends. I was working until 11pm the other Friday night and started again on Saturday morning. So when it’s busy its busy but then there can be times when it’s quiet too. You do sound very busy how does that impact on you? It makes me worry more and I get more anxious. It was highlighted in our department that some of the staff members were working very long hours and some weren’t. So I feel under pressure, not scrutiny, but pressure to do that as well. I worry about that because it’s the culture of the business and I worry that if you don’t do more than your normal hours you are perceived as not pulling your weight. So I do worry, and I worry about lots of things anyway like about keeping appointments. I also worry about finding time to exercise so I now exercise before work instead of after because I can’t guarantee that I’ll find the time. I worry about fitting everything in and about being tired. A lot of people describe that as stress would you or do you see it as something else? Yeah I guess it could be perceived as stress. I think I am reasonably good at dealing with stress in the workplace. I think that at work stress makes me perform better. At university I always performed much better in exams than in coursework as I always step up my game up when I’m under stress or pressure. I think that because it’s almost my daily routine now I don’t think of it as stress because I often see stress as something that occurs sporadically. I have a low level of continuous stress throughout my life. So although it could be perceived as stress it can fluctuate as well sometimes. When I am in work I exhibit signs of stress in the workplace, like when things are really busy and everybody wants you to do something. Then I show stress but that appears to be across the board, the more senior and older you get the more this seems to get worse. You said you manage stress quite well. The key for me is organisation when handling stress in the workplace. I think that I start to feel my stress levels go up when I feel out of control. If I organise myself and make lists I can manage it myself. If it does go beyond that and I feel that anything I do isn’t helping then I ask for help. At work specifically I’ll ask for help from my boss as we have a good relationship. It sounds like the culture of your office allows you to be honest if you are struggling. If that wasn’t the culture how do you think things may change? One of my old bosses was very demanding and not as supportive as my current boss and that put me under a lot more pressure. It’s very hard when you are in that situation where you can’t ask people to help you, it can really impact in your life. I think at this time it impacted on my relationships and my life outside of work. I think it’s different now because I would hopefully be able to still rely on my colleagues. I am very lucky that the agency that I work with has a pastoral care side. The previous agency I worked at was more cutthroat and backstabbing, but now it’s more of a family because when we are all under pressure we all help one and other. Let’s talk about plans for the future! Are you looking to move up within this job? It’s difficult because at the moment I am very happy at the agency I work in. I like the people and my job. The agency I work at isn’t that hierarchical. My job title is a planner and there isn’t really much above that except a senior planner. I would hope that I could stay in my current role and I would be rewarded for my hard work. I don’t think I would move agencies. The thing that does worry me long term is that although I have no plans to have a family, if I got to the point in the next 8 or 9 years where I want a family it would be too stressful to juggle my family and work life. I see that around me in the women that have children and find it incredibly difficult to balance their lives. My boss works four days Monday to Thursday and she often has to come in on a Friday which she finds stressful. She can work until 9 at night and is very lucky that her husband doesn’t work so he has the children. I recognise that it would be very difficult to have a child and work in my role. So if I did decide to have a family I would have to move into another area of marketing. Perhaps something more client focussed and in a business not an agency, which is something I probably wouldn’t find as interesting but I would have to make that sacrifice. You said you don’t have plans for a family. I am not trying for a family but I have decided one day I would like a child. Perhaps looking at your demographic at the moment, late twenties early thirties, a career focussed woman. Do you have any kind of tips for people as to how they can help themselves manage stress in the workplace, and that work life balance. What would you advise a friend for example if they were coming to you with stress in the workplace? I think that the first and foremost thing would be to ask them to identify what stress levels are manageable for them. Like I said I am used to a low level of stress, but every individual is different. So it’s important to understand yourself and identify when it’s impacting on your life. I would ask them to ask themselves why they are stressed. Is it because they have too much to do, or because of pressure from the boss. I would advise them to identify the source of the stress. See if they can make changes themselves. I often come up with plans or strategies to help me prioritise and deal with things. I think that in the corporate society people are afraid of saying they are stressed out because then they are judged. But often that’s just a perception related to where you work, so ask for help because otherwise you’ll just make yourself ill. Although careers are important you have other important elements of your life. Donna Craine is a hypnotherapist that specializes in working with women on techniques for handling stress. She has successfully helped working women, sales women, managers and small business owners to handle stress and improve the quality of their life and the results they achieve at work. You can add to this site and share the benefits of your experience by making a comment that will help others handling stress in the workplace. You can even write a full page article. Once accepted it will be published in this Womanhood section of the site. Send in your question on handling stress in the workplace and we will post your answer in this section of the site. This Womanhood project for working women is going to bring you the topics and information that you want to see. So ask your question or tell us the topics we should be covering. To ask your question or make your comment open Stress management for women and simply scroll down the page then click and type. Leave stress in the workplace and return to stress management for women. 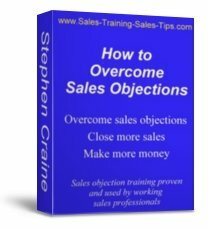 Leave stress in the workplace and return to the Sales Training Sales Tips home page.